If you ask one hundred business owners if they would prefer to get paid after they complete a service or wait until later, how many would prefer later? This is the problem that millions of small business owners in the US face every day--late payments. 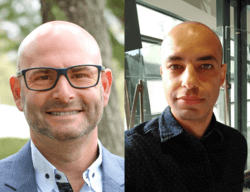 As it turns out the solution is not as simple as it appears and in this podcast episode, Allan Ratafia and Marc Howard of BizPayO are interviewed on the PayPod podcast to explain why. The future of the payments industry and how merchants, ISOs, ISVs and other payments services providers can be prepared. We kick things off discussing the latest reports from the WSJ, TechCrunch and other finance publications on the coming credit card processing fee increases. We continue the story on why BizPayO was originally created and how we since became the world's first Cash Flow Optimization Platform that now automates payments and the entire Accounts Receivables process.